In an area of finance predicated on speed, regulation must be as well, said Edgar Perez, author of The Speed Traders, An Insider’s Look at the New High-Frequency Trading Phenomenon That is Transforming the Investing World (http://www.TheSpeedTraders.com), at CME Group’s Global Financial Leadership Conference (GFLC), Nov. 12-14, 2012, at the Ritz-Carlton Beach Resort in Naples, Fla. The GFLC is an exclusive event that brings together decision-makers from the world’s leading financial institutions to discuss emerging geopolitical trends, debate critical economic issues and provide perspectives on future developments in the financial marketplace. At panel Evolving Capital Market Dynamics: Volatility, Liquidity and High Frequency Trading, moderated by Michael Mackenzie, U.S. Markets Editor, Financial Times, Perez was joined by Daniel Coleman, Chief Executive Officer, GETCO, Jeff Jennings, Global Head of Listed Derivatives, Credit Suisse, and Richard Prager, Global Head of Trading and Capital Markets, BlackRock. Perez advocated for real-time information that would allow regulators to see everything that is occurring in the markets, no matter how quickly the order information is being posted and transactions are occurring. This would require significant commitments to invest in both human capital and information technology, but the investment is worthwhile: it is vital for regulators to level the playing field of high-frequency trading, concluded Perez. 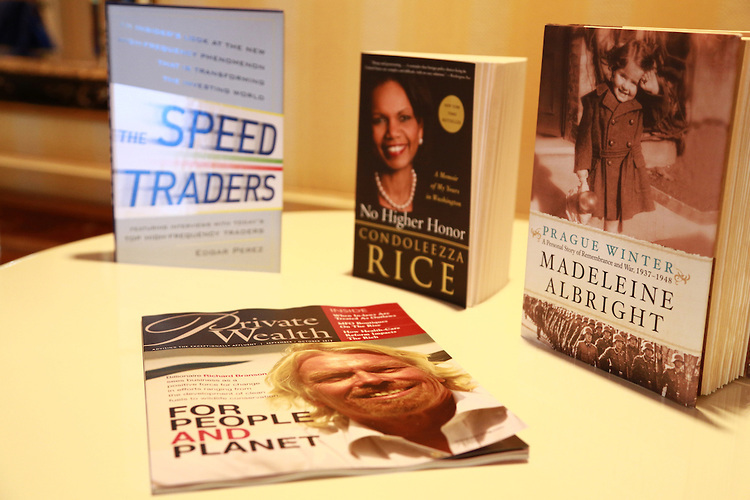 Keynote speakers for this year’s conference include Sir Richard Branson, Founder, Virgin Group, and Condoleezza Rice, U.S. Secretary of State (2005-2009). Additional featured speakers include Madeleine Albright, former U.S. Secretary of State; James Carville, Political Strategist; Richard Kauffman, Senior Advisor to the U.S. Secretary of Energy; Ted Koppel, award-winning journalist; John Lipsky, First Deputy Managing Director, IMF (2006-2011); Karl Rove, former U.S. Deputy Chief of Staff to President George W. Bush; and Jimmy Wales, Founder, Wikipedia, and 2012 Fred Arditti Innovation Award Recipient. Edgar Perez, author of The Speed Traders, An Insider’s Look at the New High-Frequency Trading Phenomenon That is Transforming the Investing World, will join global thought leaders at CME Group’s Global Financial Leadership Conference (GFLC), Nov. 12-14, 2012, at the Ritz-Carlton Beach Resort in Naples, Fla. The GFLC is an exclusive event that brings together decision-makers from the world’s leading financial institutions to discuss emerging geopolitical trends, debate critical economic issues and provide perspectives on future developments in the financial marketplace. Keynote speakers for this year’s conference include Sir Richard Branson, Founder, Virgin Group, and Condoleezza Rice, U.S. Secretary of State (2005-2009). Additional featured speakers include Madeleine Albright, former U.S. Secretary of State; James Carville, Political Strategist; Richard Kauffman, Senior Advisor to the U.S. Secretary of Energy; Ted Koppel, award-winning journalist; John Lipsky. First Deputy Managing Director, IMF (2006-2011); Karl Rove, former U.S. Deputy Chief of Staff to President George W. Bush; and Jimmy Wales, Founder, Wikipedia. Previous GFLC events have hosted opinion leaders and luminaries such as President Bill Clinton, 42nd President of the United States and founder of The William J. Clinton Foundation; President George W. Bush, 43rd President of the United States of America and Founder of the George W. Bush Foundation; David Gergen, CNN senior political analyst; and Katie Couric, Award-Winning Journalist and Author. Other featured speakers include Arianna Huffington, President and Editor-in-Chief of Huffington Post Media Group; Robert Merton, Nobel Prize Winning Economist and Professor of Economics, MIT; Myron Scholes, Nobel Prize Winning Economist and Chairman, Platinum Grove Asset Management; Paul Tudor Jones, Founder of Tudor Investment Corporation; Michael Lewis, best-selling author of Liar’s Poker, Moneyball and The Big Short; Robert Rubin, former U.S. Treasury Secretary; and Daniel Yergin, Pulitzer prize-winning author and authority on international politics, economics and energy. To access previous GFLC video, photo and press highlights, as well as 2012 conference information, visit the conference website at http://www.gflc.com.